Special Event rate - Stampede $145.00. * Add $10 for a one night stay. 1 night stays may not be accepted. Plus 5% GST (General Sales Tax). 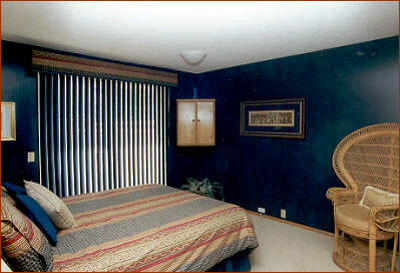 Please click here to see when our rooms are available for reservations. 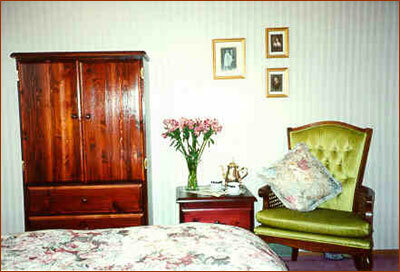 10% discount on stays of 5 consecutive nights or more. 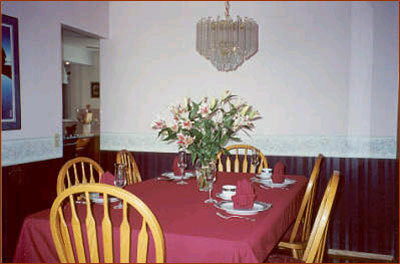 A full breakfast is served between 7:00 a.m. and 8:30 a.m. Please let us know of any dietary restrictions, or if you would like breakfast to go, at the time of booking. We accecpt Cash, Interact, Visa, Master Card, and Travelers Checks. 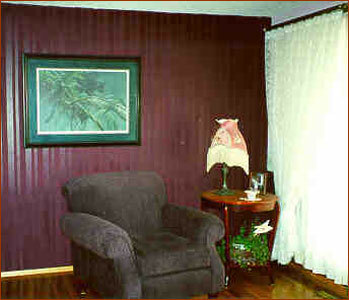 Both guestrooms have cable TV and a DVD/VCR. An outdoor hot tub is available. There is a fireplace in the parlor and a fire pit outside. Day spa services are available for an extra fee. Full Kitchen Use. Air Conditioned. 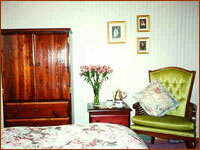 A deposit of 50% is required to book a room with a minimum deposit of one night. We accept Visa, Master Card, and Traveler's Checks. Personal checks will be accepted for deposits only. Deposits are cashed when received. Deposits are refundable if cancellation is received 14 days or more prior to arrival date. Deposits are refundable with less than 14 days notice, if we can rent the room for the length of stay. Check-in time is flexible; Check-out is 11:00 a.m. unless otherwise arranged.